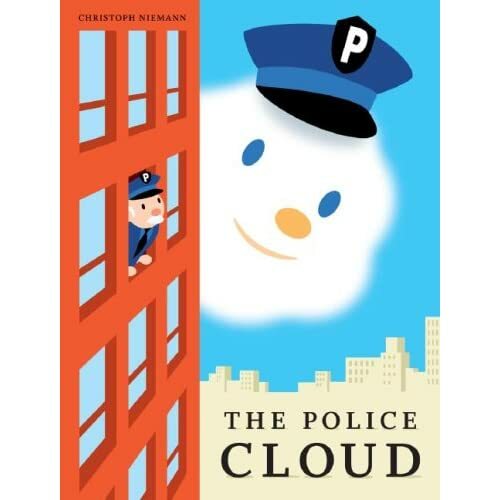 When I first came across this great little book The Police Cloud by illustrator Christoph Niemann, I was cracking up at my computer. Yes, really. I know, that’s a tad embarrassing. And yet since then I’ve been a little bit obsessed with this book’s title, story and overall look. The story is adorable, sweet and funny, the illustrations are top notch and a really interesting mix of simple and expressive. I mean come on, look at him! Fwuffy lil copper cloud who just wants to help people and do right for a living. So awesome. The Police Cloud website is also worth checking out too, with a nice little set of animations and sample pages from the book, which is available at Amazon.com. This entry was posted in Stuff I Like, Things I'm reading and tagged childrens books, christoph niemann, illustrator, the police cloud by strawberryluna. Bookmark the permalink. hahaha this is insanely adorable and hysterical. For real, how freaking cute right? Love you lil Cloud.